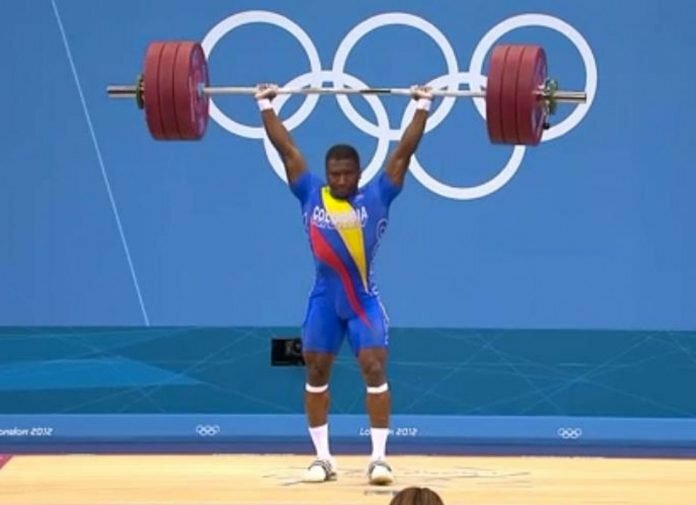 The 2016 Olympic Champion in the Men’s 62 kg category, Colombia’s Oscar Figueroa, has been told that he cannot compete at the upcoming Pan-American Weightlifting Championships due to a failure to register his whereabouts for anti-doping purposes. In addition to his gold from Rio, Figueroa also took silver in 2012. He has won the Pan-American Championships twice, in 2012 and 2015. He appeared to have retired after his gold in 2016, making the now-traditional gesture of leaving his shoes on the platform. However, he has been making a push to appear at the Olympic Games for the fifth time – he has competed at two qualifying competition and compiled 1,891 Robi points so far. See our Olympic Qualifying Guide for details of the process. The Pan-American Championships is a gold-level qualifying competition, with a 10% Robi bonus, so missing it means Figueroa will lose a good opportunity to score big points. At least he has competed and gained points already in the first six-month qualifying period, so he remains eligible for qualification. He will need to compete at four more competitions in the next year and score points in at least two. It appears that Oscar Figueroa has fallen foul of the same rule that prevented over forty athletes from competing at the 2019 European Championships. Many athletes must submit whereabouts information quarterly and all international competitors must submit information for a period before competing. Missing the deadline means being ineligible to compete. This whereabouts requirement violation does not count as a full anti-doping violation and does not prevent Figueroa competing at future competitions, a point he stressed in a press release. Figueroa’s teammate Jhon Serna has also been told that he cannot compete for the same reason. It is likely that others will be affected but the details of all of them have not yet been released.